Dr. Ahmed Y. Zohny, LL.M., Ph.D.
Dr. Ahmed Y. Zohny is an international development and transactional lawyer whose practice focuses on International Marketing, International Trade, Intellectual Property, Trademark, Patent, Trade Secret / Unfair Completion, Anti-Piracy, Copyright, Right of Publicity / Right of Privacy, Agency, Franchising, Distributorship and International Arbitration with Egypt and the Arab countries. Dr. Zohny's project experience and clients included the United States Department of State / Agency for International Development / BearingPoint's international public service practice, emerging market division, (TAPRII "Technical Assistance For Policy Reform II Project" in Egypt related to Law Schools' reforms, Legal training for Egyptian lawyers, Accreditation of Egyptian Law Schools, Comparative Law, reforming Commercial law, Intellectual Property Laws, Patent Laws, Trademark Laws, Copyright Laws and Foreign Direct Investment Laws, and Bilateral Educational Agreements, 2005 - 2006), World Bank (in technical assistance projects related to: Institutional and Legal Reforms, Public / Private Sector Interface, Privatization, Finance of International Development Projects, Micro Finance Project Development, and Evaluation of Educational Programs, 1993 to present), the International Institute of the United States Department of Agriculture's Graduate School (Negotiation and Preparation of a Joint Venture Agreement with the Institute of Agricultural Economic Research of Cairo University, 1999 - 2000), the Government of Saudi Arabia (Negotiation and Preparation of Bilateral Educational Agreements and Technology Transfer Protocols with USA Universities and Research Institutes, 1985-1986), International Business and Technical Consultants Inc. (Reviewing contracts of Technical Assistance with the Egyptian Government, 1999), Shindy & Associates in Egypt (in cases related to International Arbitration, Comparative Law, Foreign Direct Investment, Agency, Franchising, and Distributorship, 1996-2003), Piper & Marbury Law Firm in Washington DC (International Development / Technology Agreement For the Telecommunication Government's Sector in Egypt, 2000), and the National Legal Counselors and Advocates in Dubai, United Arab Emirates (in cases related to comparative Law, preparation and negotiation of Foreign Direct Investment agreements and occupancies contracts in the Free Zone Area, 2007). Dr. Zohny was recently a key expert witness in the "Fahmy vs. Jay-Z, et al" copyright/intellectual property case (working with Mitchell Silberberg & Knupp LLP, Los Angeles, California, USA), involving the nephew of an Egyptian composer who wrote music sampled in the rap anthem "Big Pimpin'" against music mogul Jay-Z. Dr. Zohny testified for Jay-Z's defense, who won the case. 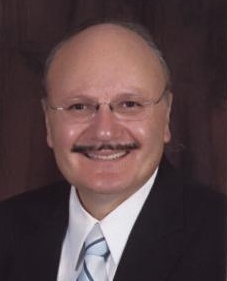 Dr. Zohny is fluent in both the Arabic and English languages with extensive knowledge of Islamic Banking and Finance and experience in identifying, investigating and deterring fraud and corrupt practices in international banking in the Arab countries' setting; structuring complex financial transactions, including security arrangements, developing risk mitigation strategies, formation of Joint Ventures and Strategic Alliances. Dr. Zohny’s professional publications, conference papers and executive training manuals are published and used in the USA, England, France, Germany, Austria, Ireland, and Egypt. Professor Zohny taught Business Law, Political Science, and Business Management at the following institutions during his 25 year teaching career: Johns Hopkins University, the American University, and the University of Maryland. Ph.D., Graduate School of Public & International Affairs, University of Pittsburgh, Pa, USA. M.A., Political Science, Bloomsburg University, Pa, USA. L.L.B., Faculty of Law, Ain Shams University, Cairo, Egypt. USA: Admitted as a Special Legal Consultant by the District of Columbia Court of Appeals, 2004, member of the District of Columbia Bar. Admitted as an Attorney to plead before First Instance courts, 1999, Member of the Egyptian Bar. Admitted to plead before the Egyptian Court of Appeals, 2004. Admitted as a Patent and Trademark Attorney before the Egyptian Ministry of Trade & Industry, 2007. Admitted as a Commercial Arbitrator before Cairo Regional Center for International Commercial Arbitration (CRCICA), 2007. France: Admitted as an International Arbitrator before the International Chamber of Commerce (ICC) - Egypt’s Authorized Arbitrators before the International Court of Arbitration, 2007. Currently serving on the Editorial Boards of Review of Business Journal, Journal of Current Research in Global Business and Journal of Global Commerce, published by the Academy of Interantional Business in the USA and served on the following sub committees of the Egyptian Committee for International Chamber of Commerce in 2007; Banking and Insurance; Investment; Intellectual Property Rights; Electronic Commerce & Information Technology and Curbing Corruption.